How does Iceland Health Joint Relief work? 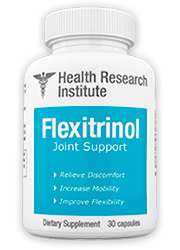 This supplement is a blend of common ingredients that are used in many different sorts of joint health supplements, some of which are focused on maintaining cartilage strength by providing collagen and chemicals that can improve the production of cartilage cells, and others which are supposed to help joint mobility by promoting the creation of more joint fluid and stronger joint cushions. Other ingredients are intended to regulate the immune response, so as to limit unnecessary and painful inflammation. Rather than containing pain-killing ingredients it seems that the main purpose of this product is to help the body naturally prevent or reduce the processes that cause pain and inflexibility in the first place, which many could see as being a more positive benefit than merely taking an ingredient like ibuprofen or aspirin. Top Benefits: Contains some popular ingredients that can help people manage joint health and increase mobility. Negatives: The company has received some customer complaints for their shipping and product advertising, and a significant percentage of customer report the product doesn’t work very well. Click this link for the Top 10 pain supplements for the joints. Email: They don’t have an email address provided, only a customer support form that can be filled out and sent in. Customer service is supposed to reply within three business days. This supplement seems to only be available from Stop Aging Now’s website, as it looks to have been discontinued from other vendors like Amazon and Walmart. For relief from arthritis and inflammation, try one of these supplements. This product contains standard joint health ingredients, with the addition of fish oil, a product that’s not just supposed to be good for overall health, but for helping with inflammation as well. The ingredients are supposed to be of a high quality, and the fish oil is obtained from sustainably-caught fish. It should be noted that this product contains animal gelatin, beeswax, fish products, and shellfish products, so people with special dietary or allergy needs should be aware. Omega 3 Fish Oil Concentrate: Commonly used as a natural supplement for improving heart and cardiovascular health, this ingredient is a potent source of omega 3 fatty acids, which can help regulate the body’s natural inflammatory response. Glucosamine Sulfate: This chemical is commonly found in joint fluid, and many different joint health supplements contain some form of this compound. It’s primarily supposed to help with cartilage cell production, which is associated with better joint strength, and can help to promote joint “cushions,” which are associated with fluid that helps the joints to move easily and flexibly. Other forms of glucosamine, such as glucosamine HCL, are considered less effective. Chondroitin Sulfate: This is another ingredient that’s considered an important part of the production of cartilage in joints, and has often been prescribed in addition to glucosamine for treating weak or worn-out joints. As it’s supposed to be able to slow cartilage breakdown, it’s supposed to be a good choice for people who want to maintain their joint health. D-Alpha tocopheryl acetate: This is another form of vitamin E, one that’s easily able to be absorbed by the body. This vitamin is an important part of a number of different biological functions, and is found in different foods. Check out this list of the Top 10 natural ache and pain relief products. What’s good about Iceland Health Joint Relief? Several of the ingredients in this product are commonly found in other joint health supplements, and have proven to be popular, especially glucosamine and chondroitin. They have shown a desire to make sure their product is healthy and doesn’t contain toxic heavy metals, as some fish oil can contain, which is why they went the extra mile to get it from sustainably-caught anchovies. It seems to be fairly well-rounded, with different ingredients intended to target different problems. 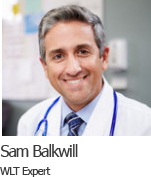 There are several ways to contact the main company, which is good, considering that there are a number of health supplement companies which try purposely to make it hard to contact them. Here’s our list of the top natural joint products for reduced inflammation. What’s bad about Iceland Health Joint Relief? The main downside to this product is the fact that it doesn’t have many ingredients to begin with. Other products contain not only glucosamine and chondroitin, but also other supplements (including those from herbs and plants) to enhance the effects or to target pain and inflammation on multiple fronts. The addition of collagen seems, on the face of it, to be a good call, since collagen is an important part of joint health, but the fact is that collagen supplement can come with uncomfortable side effects, which makes them less desirable, depending on the dosage. Not only that, but according to at least one study, collagen supplements only really work when taken together with a vitamin C supplement. The business also emphasizes their auto-ship policy, where people are automatically charged month to month. Some people have been taken advantage of by companies that use this sort of policy, as sometimes people can have a hard time unsubscribing from such services. The company, Stop Aging Now, only has a “B” rating from the Better Business Bureau, and has several customer complaints that have been filed against them. Most of these seemed to have to do with how items were marketed or shipping issues. For less joint pain, aches, and immobility, these supplements could help you. 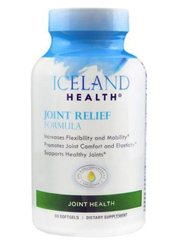 What do customers think about Iceland Health Joint Relief? As can be seen, some people who rated this product highly clarified that it didn’t totally get rid of their pain. The fact that almost a quarter of the people who used it were not thrilled with the results shows that the product really isn’t guaranteed to work for everyone. These top supplements are designed to help with joint flexibility and stiffness. Iceland Health Joint Relief does contain some fairly reliable ingredients, and there are customers who have been satisfied with how it works, but this is not a perfect product nor a perfect company. With several customer complains filed against them with the Better Business Bureau, it can’t be promised that every consumer will have an easy time dealing with this company. Not only that, but from some of the reviews we read, even some people who rated the product highly were clear that it sometimes only works a little bit, with a significant percentage of people saying that it doesn’t work. We would suggest customers first compare this supplement with other, similar products, before making a decision on what to buy. People of all ages have to deal with joint problems, and the good news is that there are supplements that can help you deal with them. Flexitrinol is currently the best product that we’ve looked at, and we base our opinion on the effectiveness of its ingredients, its manufacturing quality, and its stellar customer reviews. Click here to read more about Flexitrinol, and read about what experts and customers have been saying about it.